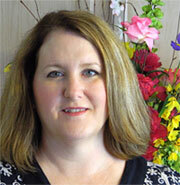 Story by staff writer Ann McElfresh. Photos Copyright © Ann McElfresh. TOM AND I were lucky enough to live in Sicily when we were young . . . seems like a lifetime ago, yet we remember it as if it were yesterday. One of the things we hoped to cross off our “bucket list” was to spend Christmas in Rome and attend Midnight Mass at the Vatican. A once in a lifetime chance! I took very few pictures in Rome. Rather than view it through the camera lens, I EXPERIENCED Rome! We went on a carriage ride, rode the tube like a native, ate in restaurants that had no name, walked along the Tiber at night, and bought watercolors from an old man. 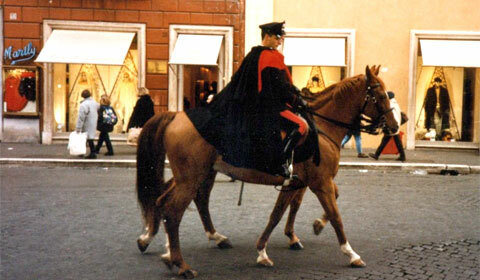 Two mounted Carabinieri *sigh* right out of a romance book! The Italian police have such stunning uniforms. We saw all the sights during our week in the Eternal City: Trevi Fountain, the Coliseum, Vatican Museum, Sistine Chapel, the Spanish Steps (see feature photo), the Appian Way, the Steps of Constantine, the Forum—everything! here are very subtle (it's at the edge of the designer district). I also had my umbrella removed from my person, NEVER to be returned—because in the Vatican it was considered a weapon against the Pope. And this was PRE 9/11! Outside the Vatican Museum, with my "weapon against the Pope"
The Map Room of the Vatican Museum. The ceiling was incredible! The food was sublime in Rome—in all of Italy! Throughout the country during Christmastime, panettone is served and sold everywhere. It is the baked good of the season. It’s sold at no other time—and, unlike fruitcake, EVERYONE enjoys it! Ever since our return to the States, and for all these years, I’ve purchased, eaten and experimented with recipes using panettone. I’ve made things as simple as French Toast Dipped in Egg Nog (a favorite) to this recipe that I’ve adapted and adore—and now want to share with our readers on Milliver’s Travels. If you ever get the opportunity to attend Midnight Mass at the Vatican, don’t miss it! In the meantime, here’s a taste of Christmas in Rome. . . . In Italy, Christmas and New Year’s would be incomplete without a panettone on the table. One Italian legend traces the bread’s origins to a poor baker named Tonio, who developed a special bread to earn the dowry for his daughter to marry a nobleman. The delicious creation – known as pan de Tonio – was a hit and allowed Tonio to ensure his daughter’s fortuitous match. Ann,Glad to meet you here on Millivers Travels. Ever since my daughter’s visit to Rome,Florence and other cities I am wanting to travel to Italy. I have seen the Vatican Museum, Trevi Fountain and Eiffel tower in photos. During holidays we get panettone bread here and I love to eat it, in spite of being gluten free. 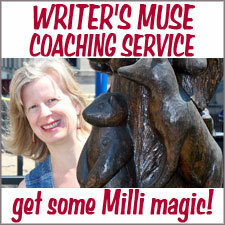 Thank you for your comment and it’s great to see you here at Milli’s place! Panettone is an amazing Christmas treat – so if you’re going to have gluten once a year, this is a good pick! I have never tried panettonne bread in Hong Kong. Can I replace this bread with any other kind? Would love to try this! Thanks for the special post!! Hi Purabi! Thanks for your comment…I agree – it truly is the Eternal City! If you replace the panettone with another bread (a good crusty, day-old bread works well) add 3/4 cup sugar to the recipe! Other than that…you’re good! Oh my, Rome! I want to go! HI Allison! Thanks so much! I had a feeling you’d like this one! Rome is an amazing city – you’d love it! Of course my eyes go right to the horses. This is wonderful. So nice to see pics of such a beautiful place. The fact that they confiscated your “weapon” made me laugh. I suppose better safe than sorry is the motto some place like that. Was so nice to stop in and read this. Enjoyed it immensely. Hi Kim! I know you love horses! You can’t really see it, but in the picture, my umbrella has a 4″ metal “spike”. I can understand, but it was a COOL umbrella! I’m glad you enjoyed the story! This is my first time visiting your blog and I’m here from Ann’s site. Thank you for sharing the travel journal – it was fun to read and it was funny to learn about your umbrella! I checked the recipe and I’m interested in trying it! Hi Nami! I’m so glad you stopped by! I hope you enjoy the recipe as much as we did! The leftover caramel sauce is amazing in coffee, too! Thanks for your comment! Wonderful blog, Ann sent me here. Hi Sandra! I’m SO glad you stopped by! It is a great site, isn’t it? Milli is just the best! Ann! Such a great post and so many fun pictures. That pudding is making me drool. Hi Kristen! I’m glad you enjoyed it -and the panettone bread pudding is absolutely drool-worthy! YOU would love it! Thanks for stopping by! Wow, incredible photos — what an absolutely amazing trip that must have been. I can definitely see why you remember it as if it were yesterday. 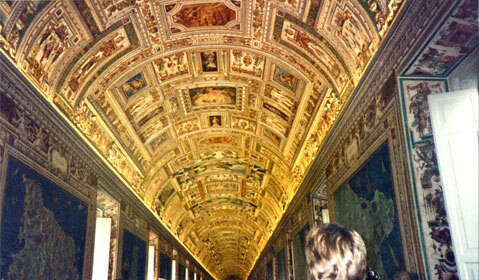 Beautiful photo of the Vatican map room ceiling! How cool that now you are a fellow staff writer! Welcome! I loved Rome, and wish we had a chance to see it during Christmastime. We did get to spend Christmas in San Vito, near Brindisi, where Mike was stationed. (this is where the Appian Way ends), You are right the food in Italy is amazing! I want to try your eggnog french toast with panettone! What year were you there? Wouldn’t it be funny if we were there at the same time, but I think not…as you are way younger then me! We were there in “76”. Great article, and love your pictures! Hi Betsy! I’m SO excited to be part of Milli’s team! I still dream of the food in Italy! Would you believe I WAS living in a foreign country in 76…but no Italy! I was living in the Philippines at the time! Gosh, Ann – you sure have seen a lot of places and tried many lovely foods. I loved your article. You are a wonderful writer! Jennifer – that is the NICEST compliment! I know when Milli reads this one, she’ll chuckle! I appreciate your comment and I’ve been lucky to see so many amazing cultures! Thanks for stopping by at Milli’s Place and I hope to see you here often! Yay! We have a resident foodie! Might push me to try cooking something other than flapjacks, seriously considering scaring my parents by making your very tasty sounding recipe for Christmas (by the way, love your photo on the staff page!). Lovely article Ann, thanks for sharing. HI JM! I’m Super Duper excited! I am definitely a foodie and Milli has let me take up residence! I love cooking and there are always lots of recipes around. (I also have quite a few flap jack recipes!). I’m glad you liked the photo…that was a FUN day! If you DO decide to scare your parents with a meal – shoot me an email – I can help you with that! Thanks for your comment! Oh my, that looks scrumptious! 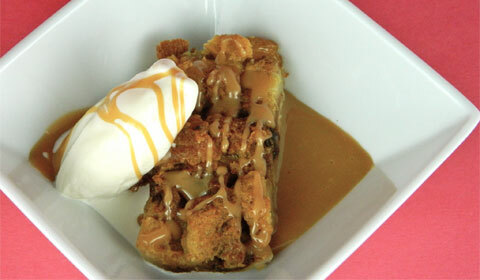 I love pannettone, but a good bread pudding with caramel sauce? Any day!! Wonderful recipe. HI Kiri! Thanks so much! Would you believe I had never had panettone before I lived in Italy? In fact, I’d never seen it! Now they’re everywhere! Thanks for your comment and visit! This is my first time visiting Millivers Travels. What a fun site and with so many interesting places to visit. 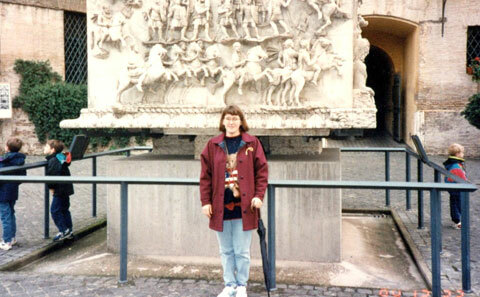 I was in Rome 9 years ago and toured all of Italy and loved it. I can’t wait to return someday. However, I’d never heard about not carrying an umbrella into the Vatican. What an incredible experience that must have been to spend Christmas Mass at the Vatican. I can only imagine! Happy Holidays and I’ll be coming back to visit again soon. Hi Vicki! 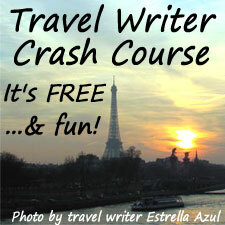 This IS a fun site – it’s nice to travel vicariously and with personalized rather than stylized pictures! Rome is amazing and I hope you do travel there again! The reason my umbrella was confiscated was because there was a 4″ “spike” at the bottom. You can’t see it really well in the picture, but it’s there! I can understand….but I loved that umbrella! Midnight Mass at the Vatican was truly a once-in-a-lifetime experience! Absolutely stunning and the music was incredible! What a beautiful post, Ann. Interesting that they took your umbrella. Good thing it wasn’t from the hotel, they’d charge an arm and a leg! I haven’t been to Rome yet, but it is on my bucket list. You know – I never thought about that…the hotel WOULD have charged a ton! We stayed in this place that had a HUGE tub and I took a long, hot bath! Sicily had unpottable water and it wasn’t pleasant to bathe in, so that was a Christmas present in itself! Loved your post Ann, and loved walking with you especially since my stay in Rome was only for a few hours and was spent at the airport… I can’t wait for a chance to go and actually visit the city! 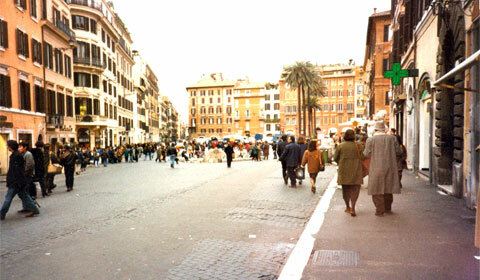 Oh, Estrella – you would LOVE walking through Rome! It truly is the Eternal City! I hope you get a chance to visit it very soon! I spent only a few weeks in Italy a couple of years ago, but as a dedicated foodie myself, I was completely blown away. I was not there over Christmas, but I do know Panettone — or Panetón as it is known in Peru. An import via Italian immigrants, it is now a treasured part of Christmas in Peru. One of my very best Peruvian friends loves it so much that, every year, he has his mother ship Panetón to him in Australia where he lives now. I will absolutely, absolutely try your recipe. Thank you for sharing! Hi Lisa! How cool is that? Panettone has pervaded other cultures! It’s certainly a part of our Christmas every year! Thank you for your story and comment and I am so excited that you’re going to try the recipe…you’ll love it! Thank you! 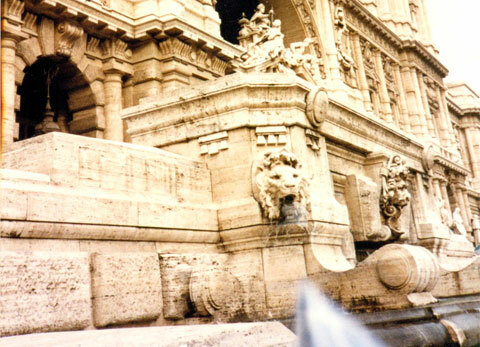 I’m glad you liked it – Rome is an amazing city so this was a fun post to write! Thanks for your kind comment on the recipe – it’s delish! You’d enjoy it! Have a GREAT day! Thank you for sharing your happy. I enjoy your post and pictures, and really would like to spend my holiday in Rome. It would be so amazing experience. Merry Christmas! Oh, Sophia! Rome is an amazing place to be in during the holidays! Thank you for your wonderful comment and I’m glad you enjoyed it! Thank you Ann! Rome must be spectacular especially at Christmastime. That map room ceiling had me oooooing and aaahing. Amazing. I am sorry I missed reading this when it first posted, great article–awesome that you are staff here at Millivers!